Canada U.S tax - U.S citizens working in Canada | GTA Wealth Management Inc.
American working in Canada needing tax services? GTA Wealth Management has extensive experience dealing with Canada-U.S tax requirements for US Citizens. Are you a US citizen living in Canada? What are your filing obligations? Are you a U.S. citizen living in Canada? Do you have to file a Canadian tax return and / or a US tax return. Failure to file a Canadian income tax return and / or a US tax return could result in financial penalties and criminal prosecution. U.S citizens working in Canada are required to file US income tax return regardless of where they are living. The United States taxes based on citizenship. Citizenship is usually acquired by birth when a child is born in the US. In addition, children born outside the US with one US citizen parent usually have US citizenship. Canada, on the other hand, taxes based on residency; where you are living and have family ties. However, you may still have a US tax filing obligation if you are present in the US for a certain amount of time. This is referred to the substantial presence test. If you meet the substantial presence test, this will be an important consideration for Canadian snowbirds. You are legally required to file personal income tax returns if you have taxes payable or you receive a request to file income tax returns. 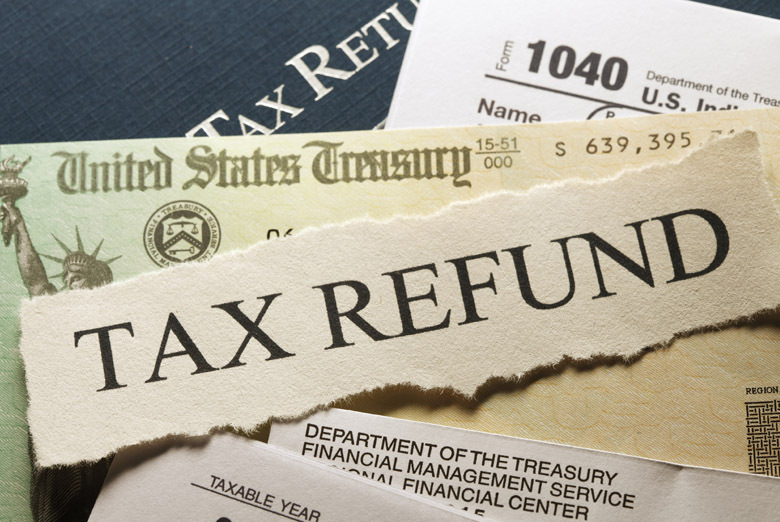 US citizens are required to file tax returns annually regardless of where they are resident. If you are resident of Canada, you will have to file a Canadian income tax return as well. You may have an income tax reporting obligation in the US if you spend a substantial amount of time in the US. Canadian snowbirds may be affected by the substantial presence test. If you are a Canadian, and you have US source income (i.e. US rental income, wages, business income) you may have an obligation to file a US tax return to report your US source income. Be alert to holding US assets. If your asset value exceeds a certain amount, you may have an US estate tax liability. The US government is not enthralled with losing tax dollars. Consequently, the US government enacted the Foreign Account Tax Compliance Act (FATCA). Beginning in 2014, FATCA will require foreign financial institutions to disclose to the IRS financial accounts held by US citizens. The foreign institutions will be required to report the income of the US citizens; consequently, increasing the opportunity of tracking non-filing US citizens. Travelling across the Canada / US border may also highlight to US officials any US citizens that have not filed income tax returns. The overriding theme here is that U.S wants it's tax dollars. Heed the warning and become tax compliant by filing your US income tax returns. The financial advisors at GTA Wealth will help. All these tax regulations can be a burden. What about renouncing your citizenship? If you renounce your US citizenship for tax reasons, the United States has the authority to bar you from re-entering the US. In addition, the US has an “exit” or “departure” tax” that deems your assets to be sold on the day you renounce your citizenship. This will trigger capital gains tax that will be required to be paid. Another complicating factor is that you will have to be tax compliant for the previous five years to renounce your citizenship. If you have not filed your tax returns for the previous five years, you will have to file your income tax returns to become tax compliant. What can you do? The IRS has initiated the Streamlined Filing Compliance Procedures to ameliorate some of the tax burden. This will allow US citizens to have their back taxes filed with a less onerous burden. However, there are some restrictions. The US citizen must have resided outside the US since January 1, 2009 and not filed an income tax return for the same period; also, the US citizen should not owe more than a certain amount for each year. The IRS has criteria to determine if you are considered a low risk filer. If you are considered a low risk filer, you will qualify for the streamlined process. If you have undisclosed income, you may want to take advantage of the Off-Shore Voluntary Disclosure Program. This program allows the US taxpayer to disclose unreported income. This disclosure may come with a penalty, but less than what would occur if you did not declare, but were later caught. Get current with your taxes and become tax compliant! GTA Wealth can help you file under the Streamlined procedures and Voluntary Disclosure programs, and with your future U.S. tax reporting obligations. Avoid penalties and headaches. File your U.S. back taxes with GTA Wealth today! Flexible: GTA Wealth has multiple offices across the GTA and flexible meeting times to meet your busy schedule. It does not matter where you are located, our U.S-Canada tax services are available to clients all across North America. The tax accountants and financial advisors at GTA Wealth Management Inc. are highly experienced and qualified in the field of Canada-U.S tax services and take great pride in providing well optimized solutions for our clients’ cross-border tax requirements. The tax accountants at GTA Wealth attend international tax conferences all over North America to keep on top of the constantly changing environment of Canada-U.S tax services - no expense is spared. You can count on the tax accountants at GTA Wealth for the best in Canada-U.S tax services. GTA Wealth Management has helped many happy clients all over North America and would welcome an opportunity to assist you with your Canada-U.S tax requirements. Contact or call GTA Wealth Management toll free 1 855 GTA WLTH (855 482 9584). A professional tax accountant is ready to serve all your Canada-U.S tax return needs. GTA Wealth Management Inc. has three convenient locations in Mississauga, Toronto and Markham to serve you.